The Breeder’s Cup is like the World Series of racing, and it comes to Del Mar for the first time this fall. 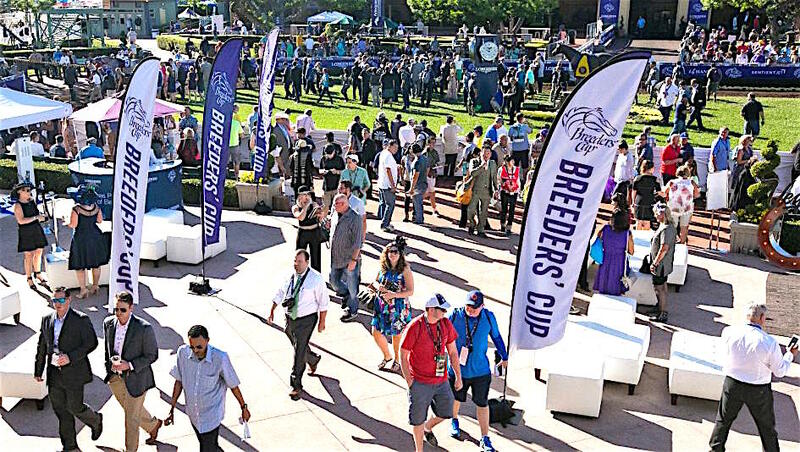 Breeders’ Cup officials have announced that tickets for the 34th running of the World Championships will go on sale to the public beginning Monday, March 6. The 2017 renewal, scheduled for Nov. 3-4, will be the first Breeders’ Cup held at picturesque Del Mar racetrack in Del Mar, Calif., 20 miles north of San Diego. To purchase tickets, fans should visit www.BreedersCup.com or call the ticketing center at (877) 849-4287 beginning at noon ET/9 a.m. PT on March 6. A special ticket pre-sale will be conducted in the days prior to the March 6 public sale opening. Breeders’ Cup officials anticipate high demand for tickets and expect reserved seating to sell out quickly. The Breeders’ Cup enjoyed increased handle from its 2016 running at Santa Anita Park in Arcadia, Calif., and its Nov. 5 Saturday card anchored by the Breeders’ Cup Classic drew the highest attendance for a single day of Breeders’ Cup racing – 72,811 – since the event moved to a two-day format in 2007. After being held at Santa Anita for a record ninth time in 2016, the Breeders’ Cup moves south to “Where the Surf Meets the Turf” at Del Mar’s iconic seaside venue. The 2017 World Championships will consist of 13 Grade 1 races with purses and awards totaling more than $28 million, and will be televised live by NBC Sports Group. Drew Fleming, senior vice president with the Breeders’ Cup organization, this month briefed the board of the of the 22nd District Agricultural Association, which oversees the state-owned Del Mar Fairgrounds and race track. The two days of racing at Del Mar includes 13 championship events and an “undercard” with $28 million in purses and awards, according to Fleming. Attendance will be capped at 37,000 for each day of the two-day racing event, smaller crowds than the more than 40,000 spectators who typically show up for opening day of Del Mar’s summer race season. Ticket prices will range from $35 for the infield, to $1,875 for premium dining packages, Fleming said. Fleming pointed to a study commissioned by the Los Angeles Tourism and Convention Board, which looked at the economic impacts of the 2013 Breeders’ Cup, held at Santa Anita Park. The study found that nearly 65,000 people attended the two-day event, with about two-thirds coming from outside of L.A. County. The report said visitors, members of the media, race participants and the host organization spent $39.5 million, while indirect economic benefits added up to some $35 million. State and local tax coffers were boosted by $4.8 million, the report said. 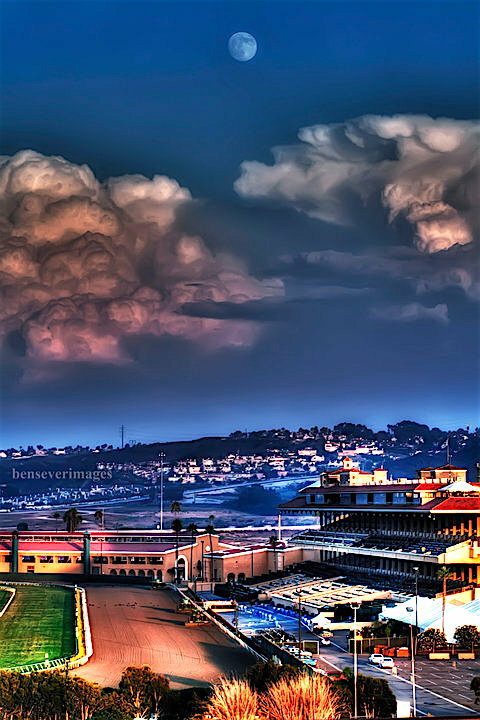 Since opening in 1937, Del Mar has been a perennial draw for elite racehorses and the sport’s most passionate fans. The track was opened by legendary movie star and singer Bing Crosby along with associates, and retains a Hollywood glamour to this day. The 34th Breeders’ Cup will be held during the first week of Del Mar’s Fall Bing Crosby Season, which lasts through November. 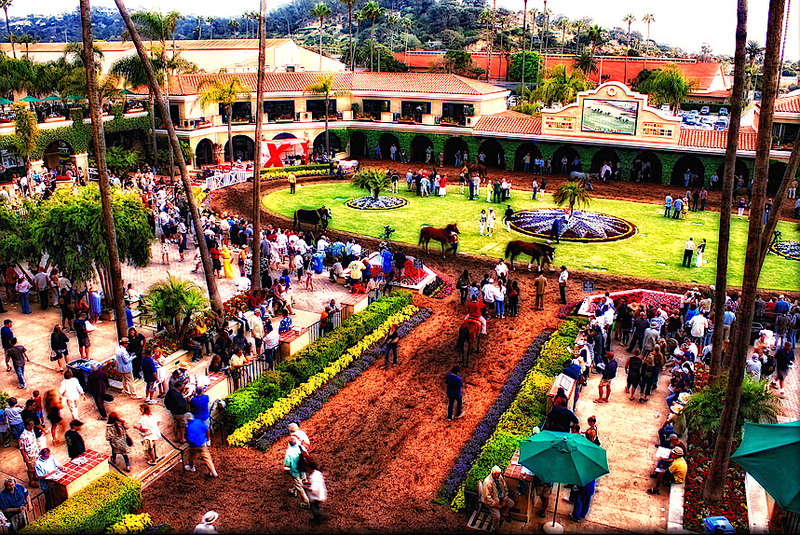 Be the first to comment on "Breeders’ Cup 2017 at Del Mar a go, go, go"